By this time in the season you may be tired of the same old holiday music. Never fear, Questlove and the 6th Floor Blog have some fun options to add a little soul to your celebration. Everyone knows that the holiday season would just not be the same without music. This Saturday, December 8 at 3 p.m. the Wicker Park Choral Singers deliver fun, high-quality choral music in their upcoming winter concert “It Takes a Village.” This performance will take place at Wicker Park Lutheran Church, 1502 N. Hoyne Ave., Chicago, and as always, the concert is free and open to the public. As the Nigerian Igbo proverb says, “Ora na-azu nwa,” which translates to, “It takes a village to raise a child.” Join WPCS for international folk songs, modern compositions, and holiday arrangements all relating to the theme of community. Featured works include “The Promise of Living” (Copland); “Walk Together Children” (Hogan); Haitian “Twa Tanbou” (Guillaume), and Kenyan “Wana Baraka” (Kirchner). Here are a couple of sneak peaks of Saturday’s holiday program, including the song serving as inspiration for its theme, “It Takes a Village” by Joan Szymko. WPCS already kicked off its holiday festivities at Garfield Park Conservatory‘s “Voices of the Season” program this past Sunday. In addition to their two live performances in December, WPCS has been invited to perform on Live from WFMT, the acclaimed weekly concert series produced and aired on 98.7WFMT, Chicago’s preeminent classical music station. Tune in to the FM station on Monday, December 10 at 8 p.m. to listen to this special recital. Want to learn more about WPCS? Click here for an entertaining account of the group’s history. Playing music for fundraisers and working with non-profit organizations is always a great experience. Their members have such a strong commitment to important causes and they exert tremendous effort to host innovative and fun-filled events. Tomorrow’s event benefiting the Tondue Primary School in Mozambique is no exception. Tomorrow from 7-10 p.m. at the Sidebar Grille, event-planner Deborah Borsum is hosting an enlightening evening of food, drink and music, featuring a Stitely jazz duo. All proceeds from this event go to World Vision, an organization dedicated to helping children, families, and communities overcome injustice and poverty. World Vision is currently building a primary school for the people of Namanjavira, Mozambique where the current adult literacy rate is only 35%! So head downtown to the Sidebar Grille and eat up to help increase literacy. We were thrilled to reprise our participation in the U.S. Fund for UNICEF Message of Hope gala this April. Last year, 312 Chicago performedfor over 350 guests at the successful event that ultimately raised over $550,000 benefiting UNICEF’s international work. 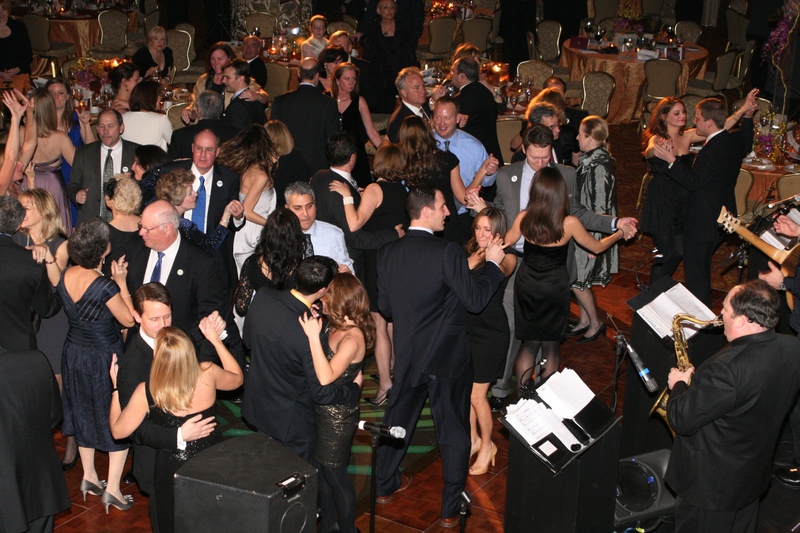 This year the Stitely Orchestra brought the party to the Union League Club, performing for more than 370 guests that pitched in to raised nearly $671,000, exceeding fundraising goals by $46,000 and setting a new gala record! In addition to dancing, the event featured performances by the Columbia College of Chicago Gospel Repertory Ensemble and world-renowned, ten-year-old pianist and composer Emily Bear. There was a raffle, as well as a live and silent auction that featured prizes like a weekend getaway to the Sundance Film Festival, a trip to Jamaica, a South African vacation, and a beautiful bronze sculpture by artist Jean Jacques Porret. May 9 was our first experience working with Chicago’s Interfaith House. The Interfaith House is a wonderful organization that provides a healing environment and resources to help ill and injured homeless adults restore their health, rebuild their lives and regain self sufficiency. This short video explains their mission and features interviews with past & current residents, staff & volunteers. DJ Vincent spun 20’s 30’s and 40’s music for their annual Big Band-themed fundraiser, “Ain’t We Got Fun,” at Germania Place. NBC 5’s LeeAnn Trotter emceed the evening that raised money to continue the charity’s efforts to improve the health and welfare of its residents. On July 31, a Stitely jazz duo played at the Public Justice 30th Annual Gala and Awards Dinner held at Union Station. Public Justice is a national public interest law firm that works to advance the public good by fighting for precedent-setting and socially significant litigation that protects consumers, employees, civil rights, and the environment. The Public Justice Foundation supports the firm’s cutting-edge litigation; they also educate the public about the critical issues the firm addresses in court. Check out the video below for footage from the fabulous evening that featured a live auction, awards, delicious food, and Stitely music. 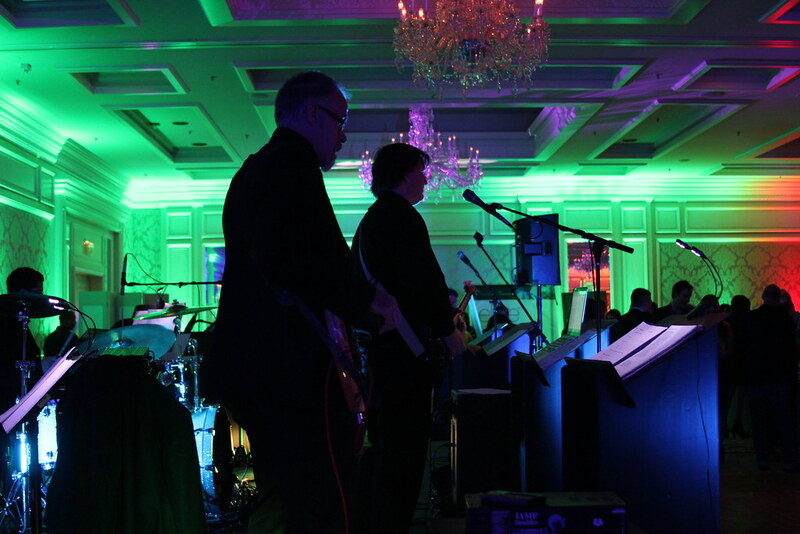 In September the Foundation Fighting Blindness asked Stitely to return for a second year to perform at their annual Visions Ball at The Four Seasons. The Foundation Fighting Blindness funds research that will provide preventions, treatments and cures for people affected by the entire spectrum of retinal degenerative diseases. These diseases affect more than 10 million people in the United States and ultimately lead to blindness. The Visions Ball is quickly becoming a Chicago tradition to benefit the Foundation in their mission to fund cutting-edge research. The Foundation booked a Stitely jazz/swing quintet to play earlier in the evening, followed by a performance by comedian Jimmy Tingle and a Stitely DJ dance party to close the evening. This fall was also Stitely’s first time working with the Big Brothers Big Sisters. We were thrilled when a past wedding client, who is also a BBBS volunteer, approached us about working with this wonderful organization on this brand new event. The Big Brothers Big Sisters of Metropolitan Chicago’s mission is to empower at-risk youth by providing one-to-one mentoring that enables lifelong success. They strengthen local communities by pairing adult volunteers (“Bigs”) and children (“Littles”), ages 6 through 18, to develop positive, nurturing relationships. The Stitely Orchestra performed for over 300 guests at the BBBS gala and silent auction held Galleria Marchetti on September 28. 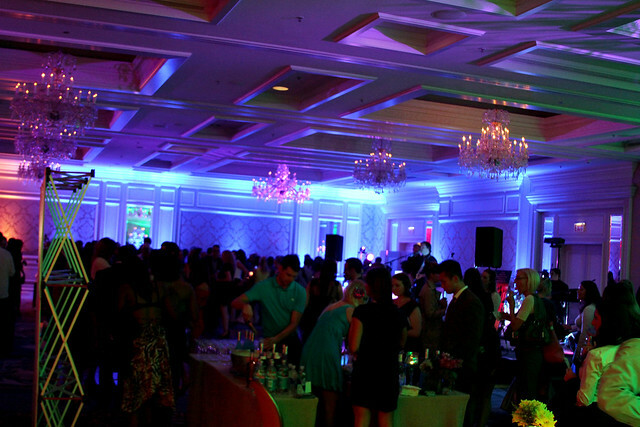 We’re proud that the event helped the organization raise over $130,000 for local neighborhood programs! It’s been a great year of giving and galas and we can’t wait for more next year! Who wouldn’t want to wear this? Every year I have trouble deciding what I want to be for Halloween. You’d think after 27 years of celebrating the same holiday on the same date I’d think ahead, but it’s like I’m surprised every time. If you’re like me, then you probably don’t have a costume planned yet either- well, never fear. The Stitely staffers (and a few friends) put their heads together and came up with a fantastic list of music-related costume ideas. Enjoy! 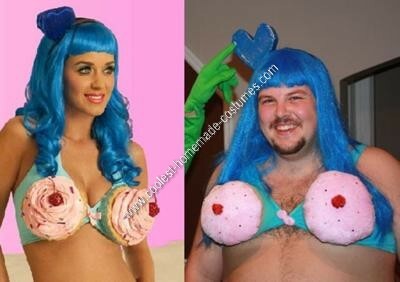 Katy Perry– Click here for directions on how to make this costume. 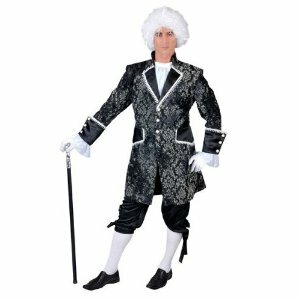 Wolfgang Amadeus Mozart– Don’t forget to practice the “Amadeus” laugh. “Devil in a Blue Dress”– Step 1: Wear blue dress. Step 2: Add devil horns & tail. Bob Dylan– Click here to get a how-to and links to important accessories. The White Stripes– Super simple couples costume- just wear black, red and white. Add a black wig and drumsticks. Ozzy and Sharon Osbourne– Another fun couples costume. Elton John– Don’t forget the shades. Janis Joplin or Jimi Hendrix– Easiest costumes in the world! Bust out your fav bell-bottom jeans or go to a thrift store, pair with a psychedelic shirt, and put a headband or bandana around your head. Don’t forget to accessorize: for Janis bring out a whiskey bottle and for Jimi use a real or inflatable guitar. A Mariachi Band– Grab 4 friends and a sombrero. 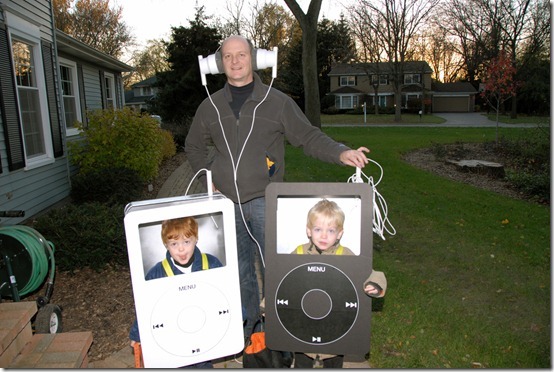 iPod– Now THIS takes talent! Official Opinions: Happy Birthday Cheeky! 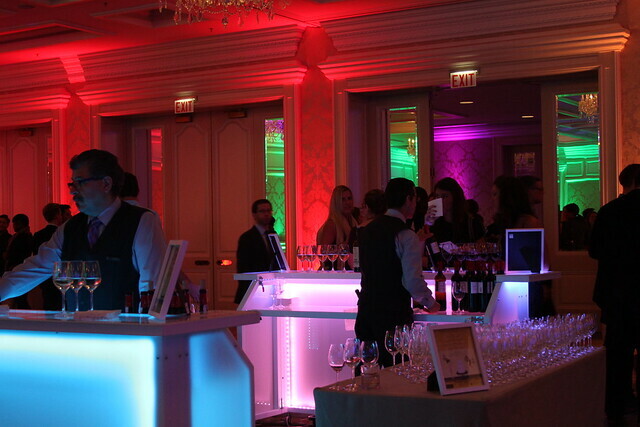 We had such a blast at Cheeky Chicago‘s fabulous birthday bash at the Four Seasons on October 4th! The swanky hotel’s decor is already elegant, but when Cheeky, Platinum Events, and A Perfect Event was done with the Main Ballroom, it was transformed into a seasonal wonderland. Each season was represented in a different corner of the room containing appropriate snacks, drinks, and activities. 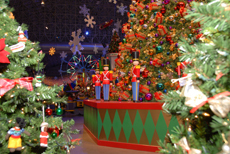 The room’s corners were also lit by different colors to reflect the various seasons from icy blue winter and golden fall to bright green spring and red hot summer. Guests wandered through through these mini environments, sampling the delicious drinks, courtesy of Moet, Skinny Girl & Magners, and checked out cool products and activities. At the end of the evening guests walked out with AHmazing goodie-bags featuring products from lip gloss to a tiny bear-shaped jar of honey. Thanks to everyone who made this event such a smashing success! And special thanks to Cheeky Chicago for the opportunity to perform and party down together. We can’t wait for the next event! Below are some of the pictures we snapped of the event!